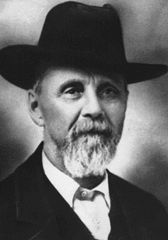 Andrew Taylor Still grew up in America in the second quarter of the 19th century. His father was a Methodist circuit rider, that is to say he preached on the move. He was also a doctor and a farmer. This meant that Andrew gained his schooling wherever the doctoring or farming chose to be. We next find Still serving as a major in the American Civil War where he describes the passage of two musket balls that were too close for comfort and very nearly deprived him of a future and our osteopathy. In the spring of 1864, the war was practically over and Still returned to civil life and medicine only to be confronted by tragedy that he described as the new enemy called spinal meningitis and the death of his three children. It was at this time that he began to question the medicine of his time and to seek an alternative system of treatment, without drugs. He settled in the country town of Kirksville where the first school of osteopathy was established calling it The American School of Osteopathy. John Martin Littlejohn belonged to the last quarter of the 19th century, during which time he graduated from Scottish Universities in the arts and languages. A native of Glasgow he was ordained in the ministry of the Reformed Presbyterian Church of Scotland, taking a living in Northern Ireland. Unhappily, Littlejohn found the damp climate unsuited to his frail health and he was advised to seek a warmer and drier climate overseas. Thus he set sail for America with only six months to live according to professional opinion. None-the-less, he began to teach soon after arrival, continuing for a period of two years and until his health broke down. Fortunately, the fame of Still attracted Dr. Littlejohn to Kirksville, where he recovered to become a student of osteopathy, lecturer and co-founder. These two men, Still and Littlejohn, combined to give us the theory and philosophy of osteopathy. Still was the discoverer. Littlejohn looked behind the physical skeleton to the invisible function that is immanent in the physiology. Littlejohn spent more than ten years in Chicago studying the fundamentals of life and movement in the living body and laid the foundations of our technique and practice. 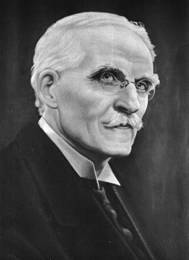 Returning to the United Kingdom in 1913, he established the British School of Osteopathy. Littlejohn took the original concepts of Osteopathy and added a profound physiological depth to them. Being a highly qualified forensic scientist, he studied the human body in immense detail, forming a clear understanding of how disease processes functioned through the body and the intricate physiological changes that resulted in pathology. Osteopathy had already established itself as a means of treating even the most difficult of diseases, but Littlejohn took the treatment processes, refined them and recorded his clinical findings on diseases. The complete understanding of Osteopathy he left behind have been clinically proven many times over. John Wernham was a close friend and student of Dr. Littlejohn. John Wernham throughout his long and dedicated career has tested Littlejohn’s understanding to its limit, never to find it wanting. John Wernham was the founder of The Institute of Applied Technique, which is now known as The Institute of Classical Osteopathy. This was set up to further the understanding of Osteopathy, as it was taught by J.M. Littlejohn and A.T.Still, who established osteopathy as a system of medicine in its own right and with its unique understanding of the physiological disturbances that lead to disease. 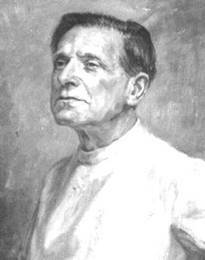 John Wernham has taught and practiced this tradition of Osteopathy for more than half a century. He has published many texts of his own and Littlejohn’s work and has given new life to many forgotten but valuable osteopathic texts. 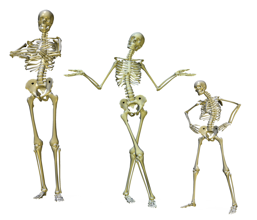 Find out more about Osteopathy and if it is right for you.